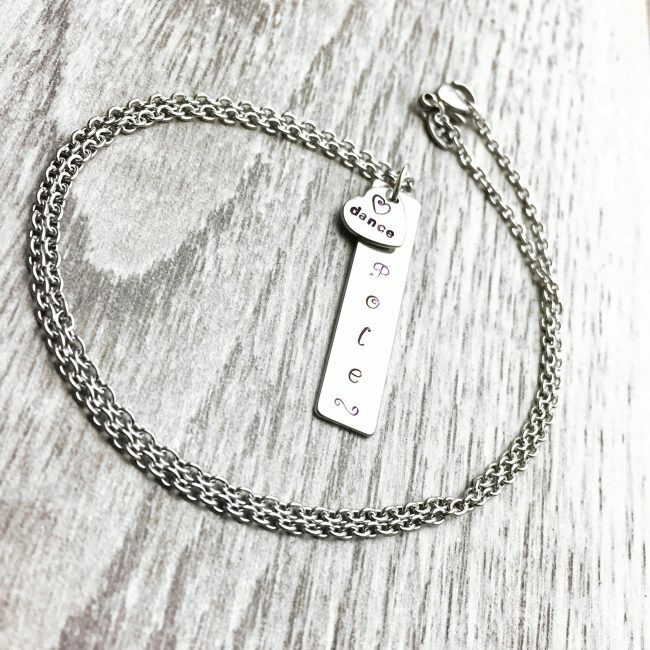 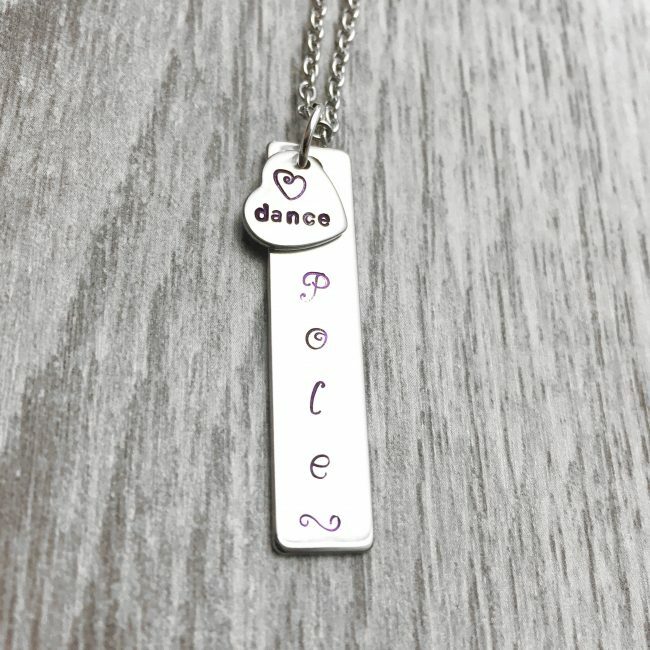 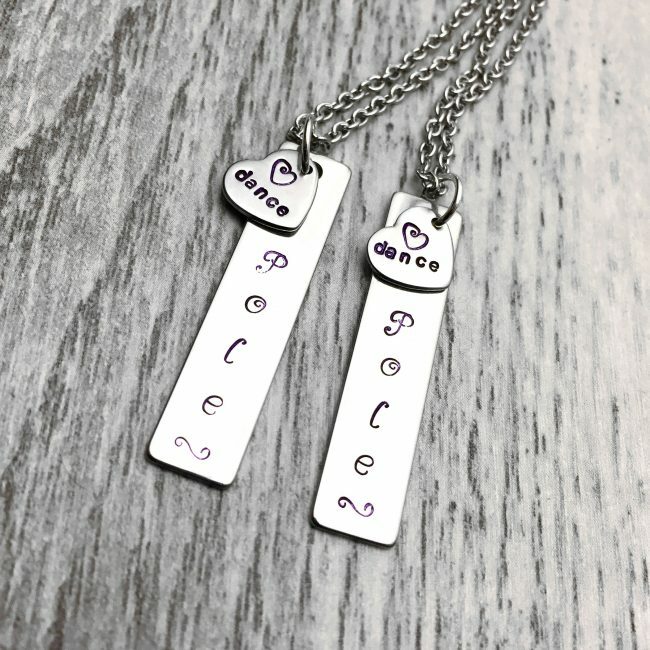 Hand stamped ‘Pole’ and ‘♥ Dance’ pendants fitted to 18 inches of ultra durable chain. NOTE: I sell a lot of these pieces so you may not receive the actual item pictured but will receive one very similar. 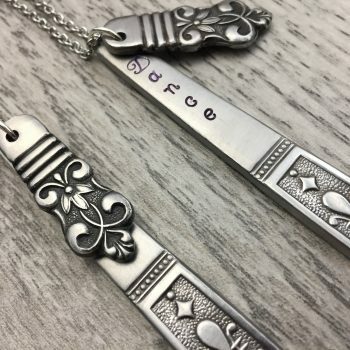 Pictured are a several examples to show the slight variances that occur in hand lettering.